For many years, blood components derived from the patient and then delivered to the site of injury have created growing interest for use in orthopedic procedures. New research and technology have expanded the application of this therapy for use in orthopedic procedures. Platelet Rich Plasma is a concentration of platelets and growth factors created from a small amount of your own blood. Increased levels of growth factors have the potential to improve signaling and recruitment of cells. Our doctors will recover a small amount of blood from your arm using a small needle and a specially designed syringe. The blood then goes through a rapid spinning process that separates and concentrates the platelets and other beneficial growth factors from the blood. The entire PRP production process is usually done in less than 20 minutes. The injected area will be anesthetized with a local anesthetic (Lidocaine). The blood with its PRP will be injected into the area directly or with the aid of ultrasound or x-ray. Am I a candidate for treatment with PRP? Speak with our specialists and ask if PRP is right for you. Your physician will perform an examination to make a determination if the use of PRP will benefit you. If you are on anti-inflammatory medications or blood thinners, your physician may temporarily discontinue the use of these until your treatment has taken place. 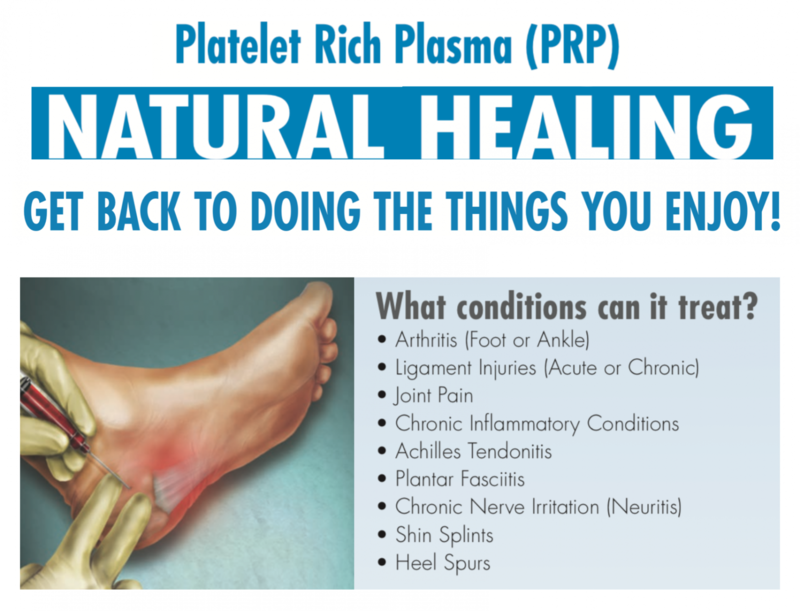 PRP uses your body's own natural properties to treat your injury. Side effects utilizing PRP systems are very uncommon. While PRP treatments have been around for many years, insurance companies still consider this treatment experimental and deny coverage, despite its use on high school, college, and professional athletes in all sports.